Legislators and officials in Annapolis welcomed delegations from Maryland’s 20 sister state relationships late last month to showcase their programs’ achievements over the past year at the annual Sister States Legislative Reception. 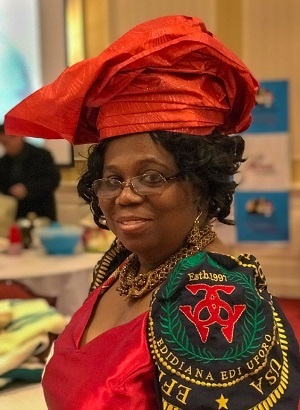 The event also fosters greater cultural awareness in the Maryland community through special food, drinks, and items characteristic of each of Maryland’s sister states (in 17 countries total) set up at tables in an exhibit hall. 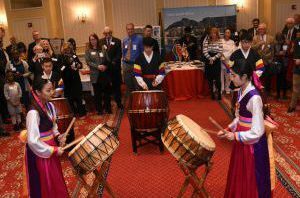 This year’s reception, which was held January 30, also featured cultural performances by Chinese Taiji dancers and Korean drummers. The embassies of Estonia, Mexico, Turkey, Peru, Russia, Israel, Japan, and China—all part of Maryland’s sister states network—were also represented. In total, the reception attracted over 350 people. Maryland Secretary of State John Wobensmith spoke about the importance of the legislative reception, which is in its eleventh consecutive year. State Senator Jim Rosapepe introduced the other legislators at the reception and highlighted his own involvement in the state’s relationship with St. Petersburg, Russia. Mr. Roger Lawrence, President of Sister States of Maryland Inc., elaborated on some of the programs the committees had collaborated on in the past year and stressed the enduring importance of people-to-people diplomacy in the country’s current political climate. First Lady of Maryland Yumi Hogan also attended, as did foreign officials Mr. Ho Park, Ambassador of International Relations for Jeollanam-do, in South Korea; and Mrs. Marki Tihhonova-Kreek, Deputy Chief of Mission at the Embassy of Estonia. The Kocaeli-Maryland Sister State Committee provided Turkish wine, olive oil, and baklava for guests to sample. Some other highlights included Israeli wine from the Negev Region Committee, Bibimbap from South Korea, and many classic Peruvian dishes. The Chinese Committee brought traditional masks for children to paint. 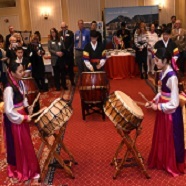 The Taiji performance was representative of the culture of Anhui Province, a Maryland sister state in China, and the Korean drum performance elicited the culture of Jeollanam-do, which formalized a sister state agreement with Maryland last year. At next year’s legislative reception, you might see even more sister states showcased: Maryland is currently seeking an agreement with Piura, in Peru. They could also reestablish a long-dormant relationship in France. “We are striving to launch initiatives that increase awareness and break down barriers that might stand in the way of the highest quality of life,” according to one sister cities official. No Replies to "Legislators Bring the World to Annapolis"